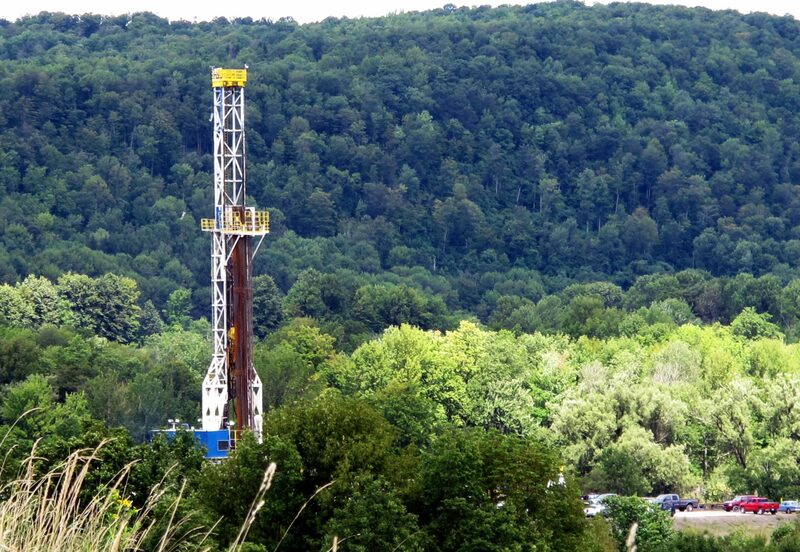 Can Pennsylvania's State Forests Survive Additional Marcellus Shale Drilling? Pennsylvania is strapped for cash. The state has run billion dollar-plus deficits for three straight years. But since 2009, royalties and bonus payments from Marcellus Shale drilling in state forests have brought in hundreds of millions of dollars. Some officials say additional drilling is the solution to the commonwealth’s financial problems. That’s raising the ire of people like Butch Davey, who worry additional leasing would damage the forests forever. The Sproul covers 476 square miles. It’s Pennsylvania’s largest state forest, and Davey ran it for 21 of the 41 years he spent with the Bureau of Forestry. But the Sproul has changed since Davey retired in 2003. More often than not, visits make him sad these days. That’s because of natural gas drilling. Dozens of Marcellus Shale wells have been drilled here in the last three years. More are being approved at a rapid pace, especially since about 2,700 additional acres of the forest were leased for drilling in 2010. The shallow gas wells the dot the Sproul, but they’re small – about the size of a single gas pump, with a home air conditioning unit plunked down next to it. The Marcellus sites, with their acres of cleared land, dozens of trucks, and rigs stretching high into the sky, dwarf the older wells. And it’s not just the wells that are bigger – it’s the revenue, too. From 1947 to 2009, lease payment and gas royalties put about 150 million dollars into Pennsylvania’s Oil and Gas Lease Fund. The new revenue terrified him. “That kind of free money is just enormously tempting,” Quigley recalled. His fears proved correct: Democratic Governor Ed Rendell and state lawmakers and took more than $399 million from the fund to help balance the next two budgets, forcing more lease sales in the process. Click here for statistics and maps of the land DCNR has leased out for Marcellus and traditional gas drilling. Quigley points out until 2009, oil and gas revenue had been reserved for conservation, flood control and recreation purposes. “Portions of 30 state parks were purchased with Oil and Gas Lease money. Dams were built, park and forest roads and other buildings were built. Granted, before Marcellus Shale, the fund was only getting between two and four million dollars a year. By 2015, the Corbett Administration predicts the fund will make about $300 million a year. Driving through Tioga State Forest, Weaver says he knows the country needs natural gas. And he can personally vouch for the Marcellus Shale’s benefits. Two of his three sons hold drilling-related jobs – along with what seems like nearly everyone else in the region. “If you’re not working in Tioga County now, it’s because you don’t want a job,” he argues. But Weaver wants state officials to just slow down the pace, when it comes to drilling in the forests. “I can say this easily by a quote from a gas worker. ‘I want to be able to go somewhere where I can’t smell my job.’ I don’t think you need to say anything more. But Davey and others worry even the most careful drilling possibly might endanger the forests for those future generations, as long as acres at a time are being turned into industrial sites.